Imagine taking a dip in the seasonal swimming pool when the heat of summer kicks into high gear. If getting in the water isn’t your speed, relax with a magazine on the oversized sundeck. Our clubhouse offers complimentary WiFi so posting pictures of the kids at pool and returning emails is a breeze. Both you and your pet will enjoy strolling down our walking trails and along the meditation and wildlife pond. 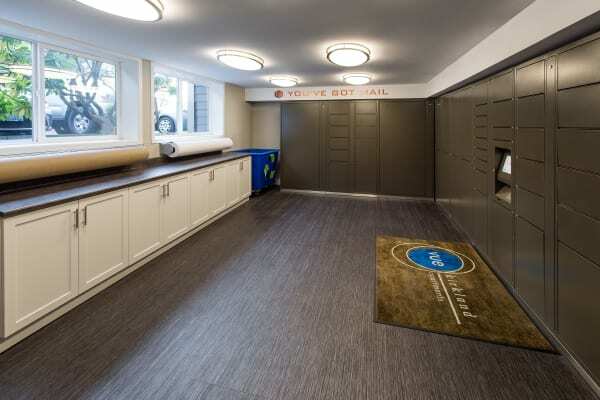 The Vue offers all residents access to the Parcel Pending package delivery service onsite. When enrolled in the service, your packages will be delivered to your secure storage locker with access codes and updates delivered directly to you by text or email. Contact one of our friendly leasing professionals today to learn more about our stylish studio, one, and two bedroom apartment for rent in Kirkland, WA.